Your floor is the bedrock of your home. It needs to be: sturdy, hard-wearing, easy to clean, cosy, welcoming, stylish, subtle and protective. Whether you want a room of quiet reflection or a stylish, modern wet-room, Tile Design is the only place you need to visit. Your home is more than just your castle. It’s your haven and your refuge, the place you go to shut the door on the outside world or throw it wide open to welcome friends and family. It’s an extension of yourself. Your home is unique, and it should reflect your personality. 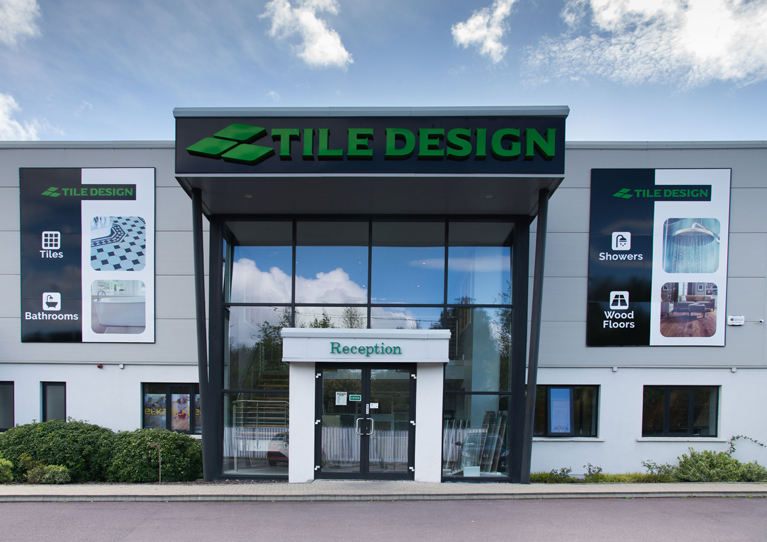 Here at Tile Design we’re dedicated to helping you showcase your home and make it the perfect complement to your sense of style and your own outlook on life. Want something understated and subtle? No problem! Or perhaps you might prefer a bold, stark statement of individuality, or fun, chunky designs? You have hundreds of options! Do you need something to protect your floors while ensuring that they look their best at all times? We’ve got that too. Need to make your space look bigger? Stuck for ideas when it comes to high-traffic areas of your home? Need a certain something but not sure what? Wondering how to get the best for your budget? 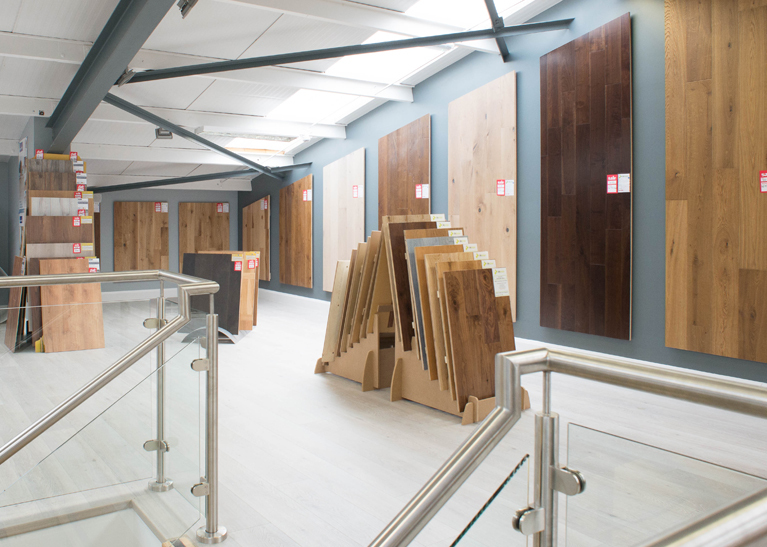 Come talk to Munster’s leading tile, flooring, fittings and bathroom suppliers and we’ll work with you to achieve your vision. 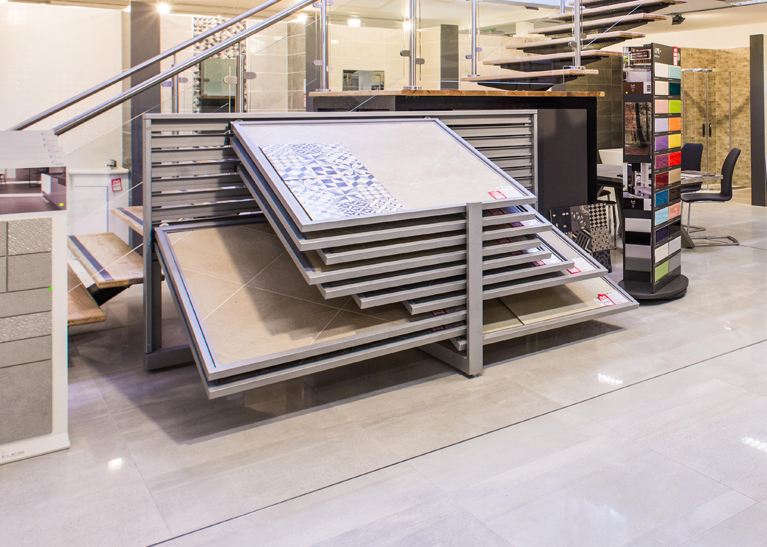 External, internal, floors, walls, bathroom designs and fittings, accessories, stone, porcelain, wood; here at Tile Design we source the best of the best from Ireland, Spain and Italy. And, with the benefit of more than thirty years’ experience, we go straight to the source – cutting out the middle-man and passing on the savings to you. Designers and builders rely on us, not only for our vast range and exclusive designs, but also for our experience, expertise and eye for detail. We take particular pride in our excellent staff, and they take pride in their work: every single person here is an expert with a wealth of industry tips and tricks, which means we can fill you in on trade secrets and give you the best advice to make sure you get exactly what you want: no more, and no less. 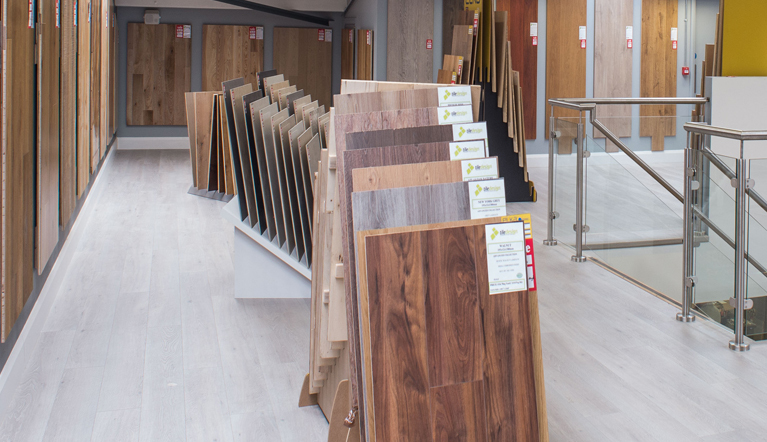 Flooring is a speciality, and we offer laminate, semi-solid and real wood, marble, and porcelain slabs in every shape, size and colour. 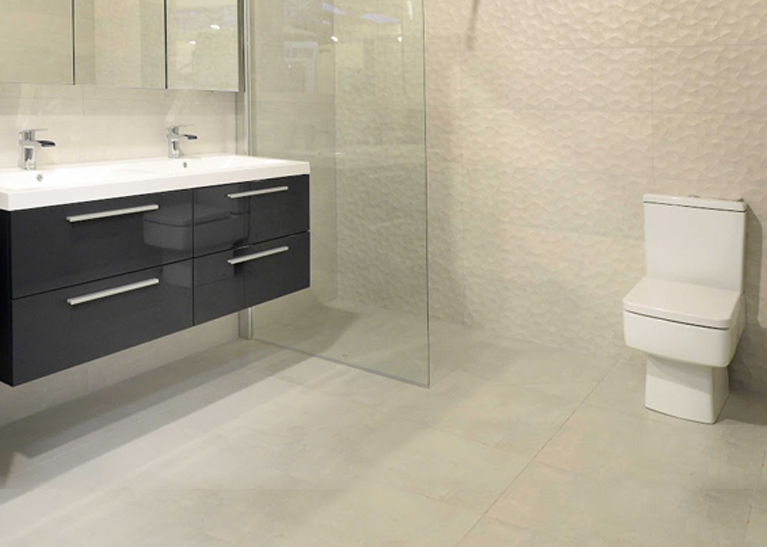 Tile Design is also at the forefront of using modern technology to bring out the best in any space. New materials and techniques are making the impossible possible — and affordable, too, like our wood-effect porcelain flooring, which looks just like real wood but is actually frost-proof, waterproof, durable porcelain designed for use indoors or out. If you’re extending or revamping your home or business, or if you’re breaking ground on a new build, we’re proud to be your partner. 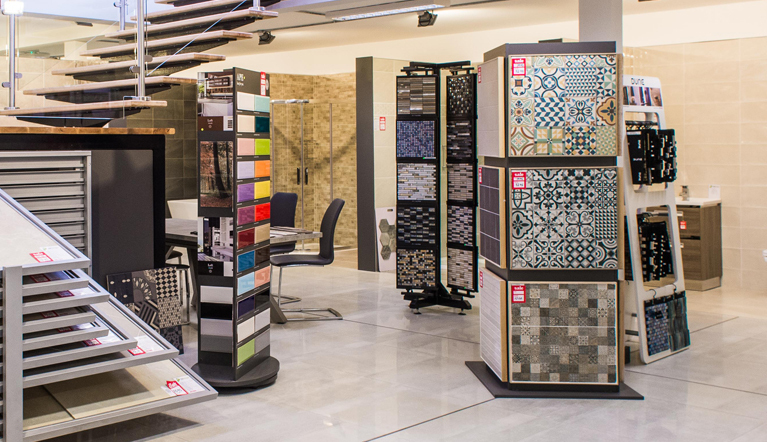 Tile Design has everything you need to make sure your flooring, tiling and bathroom needs are met, offering excellent value, expert service and enormous variety. 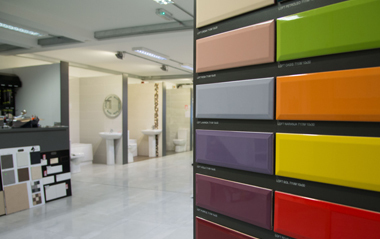 Whether you want shower fittings, basins, toilets, tiles, mosaics, wood, porcelain or marble, or even if you just need some advice or ideas, come and see us: you’ll be glad you did. But even if you can’t drop in to see us in person, don’t forget that we deliver to anywhere in Ireland, and be sure to keep up with us on Facebook for all the latest news, competitions and giveaways! Revamping your home can be done on a budget if you’re clever with the material you use and where you place them.